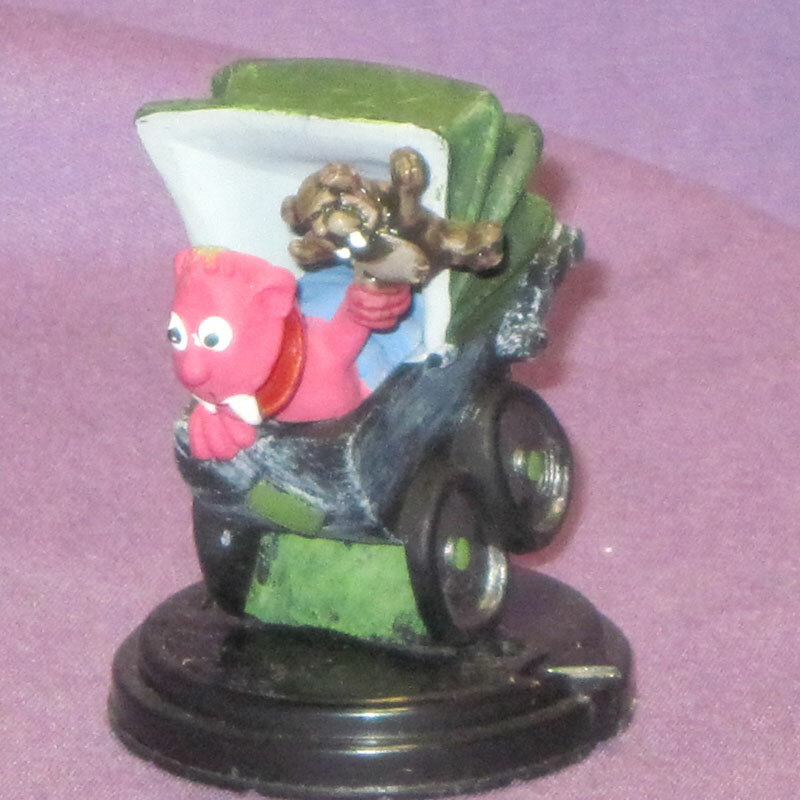 This baby vampire is holding a vampire teddy bear as it's on the loose in its baby carriage. The color varies. The baby vampire is 1.5" tall and on a 1.25" diameter base. Part of the limited-edition Creepie series, this baby vampire known as Ankle Biter is recommended as a sandtray / sandplay miniature. Freestanding.